Apple’s new devices are often a bit cheaper than last year’s model but multiple reports in recent months suggest 2018’s new iPhones are going to be significantly cheaper than last year. Samsung's incoming Galaxy Note 9 flagship, by contrast, was going to be a wallet-busting brute. However, it now looks like the Samsung Note 9 is also going to be highly competitively priced. A cheap Android flagship phablet? It might spell bad news for Samsung’s bottom line but it’s music to tech lovers’ ears. The Samsung Note 9 price leak comes courtesy of a post on Chinese microblogging site Weibo, which shows a promotional launch flyer from Indonesia with the phone's pre-order price clearly listed. And, that price? 13,500,000 Indonesian Rupiahs. The 128GB Samsung Note 9 phone advertised for pre-order. Yes, that number looks enormous, but it’s actually potentially good news for phone users in the UK and US looking to pick up Samsung's new Note handset. That's because 13,500,000 Indonesian Rupiahs at present rates is actually only around £700 or $935 respectively. That’s far, far below previous price estimates for the device. Before you get too excited, it’s worth noting that brands often price goods at lower prices in countries with a lower GDP (Indonesia ranks about 96th on that scale). However, if Samsung can get the Galaxy Note 9 launch price in this ball park in the UK, it would be a major advantage and selling point. And a necessary one, given the unprecedentedly strong lineup of incoming competition. That’s not just from Apple's new iPhones, but also from other Android flagship phones such as the Google Pixel 3, LG V40 ThinQ, and Sony Xperia XZ3. The Samsung Galaxy Note 9 is set for an official unveiling on August 9. The big question is, though: can Samsung deliver the phone that cheap? 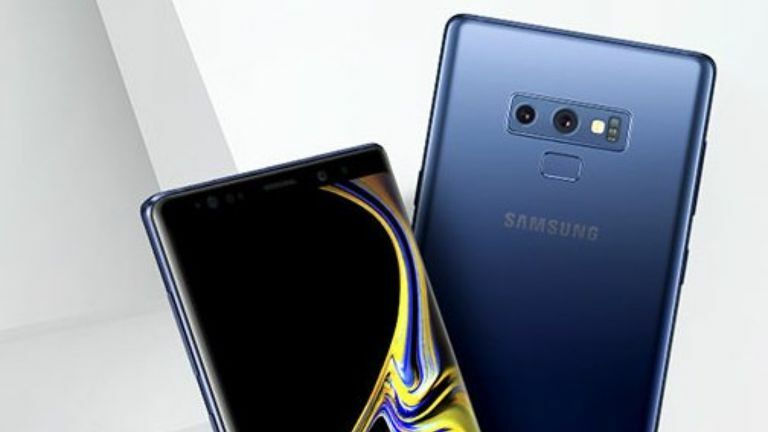 After all, the Note 9 is slated to be an absolute powerhouse of an Android phone, with smoking hot internal hardware, a super powerful camera system, a huge 4,000 mAh battery, gorgeous SuperAMOLED screen, and packing an advanced new Bluetooth-enable S Pen digital stylus. If Samsung can deliver that package while keeping prices as low as listed above in the UK and US, it could very well go on to be the best selling Android phone of the year, overtaking its own 5-star grabbing Samsung Galaxy S9 and Galaxy S9 Plus, as well as beating off strong challenges from the OnePlus 6, HTC U12+, LG G7 ThinQ, and Sony Xperia XZ2. The final price for the Samsung Galaxy Note 9 will be officially unveiled at its Unpacked launch event on August 9, so be sure to check back in to T3.com then for the full picture.